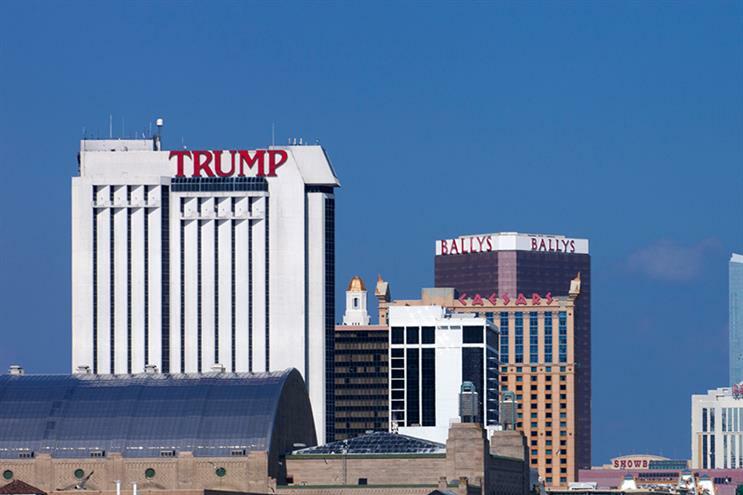 Passionate citizens are dialing Trump properties to voice their opinions. No, they won't give him your number. In Istanbul, where a Trump Towers complex has loomed above the skyline since 2010, consumers are still largely unaware that the buildings are connected to the new American President, the New York Times reported this week. "I actually asked people if he had anything to do with the building, but they said no," one city resident told the Times. In the US, no such confusion exists. When citizens enraged by President Donald J. Trump's actions can’t get through to the White House—an increasingly common occurrence now that the White House comment line seems all but abandoned—they call Trump International Hotel and Tower in New York City. Or Trump International Realty in Jupiter, Fla. Or Trump Winery in Charlottesville, Va. Or why not try all three? "They want to voice their opinion," said a security officer who answered the phone at Trump International Golf Club West Palm Beach in January. The officer declined to give his name, but confirmed that the club had been getting "a lot" of calls, particularly from "groups cursing us out," shouting things like, "‘Give us freedom of speech!’"
Ever since Trump began his polarizing campaign for the White House, his businesses have been feeling the impact. Macy’s stopped carrying his clothing brand, his hotels have seen plummeting vacancy rates and Foursquare data shows that pedestrians have literally been avoiding his properties. But perhaps the greatest impact on day-to-day life at Brand Trump has been the influx of phone calls from Americans—angry and otherwise—wanting to share their opinions about the new President. To learn what life is like for someone answering the phone at a Trump-branded property these days, Campaign placed calls to all of Trump’s US businesses and tried to ask some questions. "I’ve been told directly that I cannot comment on that," said Kay at Trump Realty in Charlotte, N.C. Indeed, Trump properties have apparently found the calls disturbing enough that they have devised a protocol for dealing with them. Representatives at Trump Soho in New York and Trump International Hotel & Tower in Chicago direct callers to the same pre-recorded message. "This is not the White House or the office of the President," it says, and then directs callers to the White House contact page. Not that everyone is following the program. Whoever picked up the phone at the Trump Bar in New York City simply hung up when he learned he was talking to a reporter. The person at Trump National Golf Club in Los Angeles did the same. Others, like the upbeat woman who answered the phone at the Trump National Doral hotel and golf course in Miami, tried a sales-friendly approach, declining to answer questions but graciously offering to help book rooms, tee times or a spa treatment. Of course, citizens aren’t alone in thinking pressure on Trump businesses could result in pressure on the President. At least two advocacy groups, Revolution Messaging (which was responsible for digital advertising and fundraising for Sen. Bernie Sanders’ presidential campaign) and the Creative Majority PAC (a political action committee created by advertising professionals) have devised a method that makes it easy for people to vent directly to Trump employees. By submitting their number to White House Inc., citizens can be automatically patched through to a Trump business to which they can air their grievances. "This White House Inc. is one piece of pushback that affects 30 of his properties every day, all the time," said Scott Goodstein, CEO and founder of Revolution Messaging and co-founder of Creative Majority PAC. "The fact that these managers are a little bit upset, well good. I hope that these managers are upset enough to call the Donald Juniors and the Donalds of the world to say, ‘Hey, we should divest because this is annoying.’"
Since launching in December, White House Inc. has helped place 33,000 calls. The average call time is 3.4 minutes, suggesting these caller aren’t just getting hung up on. Whether they’re being heard is still unclear. For his part, Goodstein doesn’t recommend calling in anger. Instead, he suggests calling a Trump restaurant and asking for a reservation. When the representative responds, say, "Look, I’ve got some real reservations around the Donald Trump administration," he says. "I really hope he divests." "I’ve gotten a few laughs," he said. It’s hard to say whether these calls will continue at this brisk a pace as Trump’s Presidency progresses. A hostess at the DJT restaurant in the Trump International Hotel Las Vegas who declined to give her name, said she’s actually received no angry calls, and that business has even picked up since the inauguration. In fact, she said that Trump’s presidency hasn’t been much of a factor around the restaurant at all. "We don’t talk about politics at the workplace," she said. Asked whom she voted for, she demurred, then admitted she didn’t vote. "I’m not a citizen," she said.